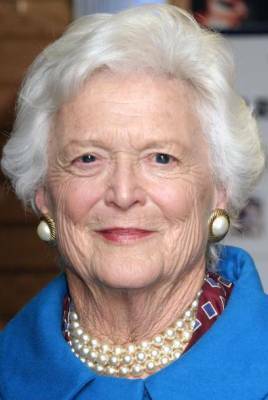 – Former First Lady Barbara Bush during a symposium on the first ladies at Southern Methodist University last week. My senses must have gone astray, since I actually agree with Mrs. Bush on this one. I lost respect for her after she dismissed the severity of the Iraq War in 2003 by saying, in effect, she didn’t want to be bothered by the sight on TV of dead and injured troops returning home. I really came to loathe her after she commented that things were “working very well” for Hurricane Katrina evacuees from New Orleans, as they landed in the Houston Astrodome – already having lost most everything they ever owned and being forsaken by the government. But, for once, the old broad gets it right this time! Indeed, compromise is not a dirty word. Tell that to John Boehner and New Gingrich!